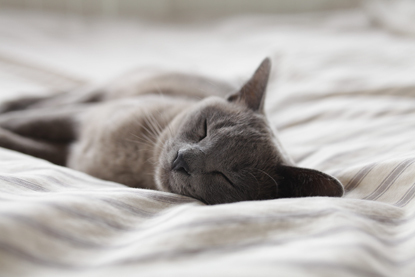 Just like humans, cats are prone to stress – although it might be tricky to tell if your cat is feeling unsettled. 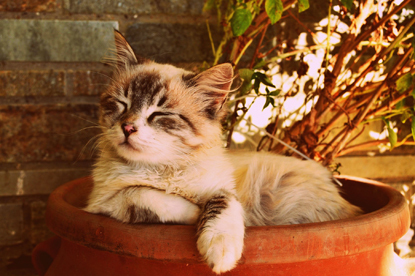 Cats are subtle in their body language, so you’ll need to keep an eye on them to ensure they are content. If you already know that your cat is struggling with stress, it can be difficult to know what to do to help. 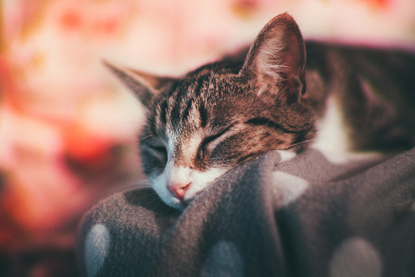 In aid of Stress Awareness Month, we’ve put together our top five tips for reducing your cat’s stress, so you can make sure you’ve got a calm kitty. It might seem obvious, but ensuring your cat has a litter tray, food and water bowls and even a scratching post can help reduce stress. 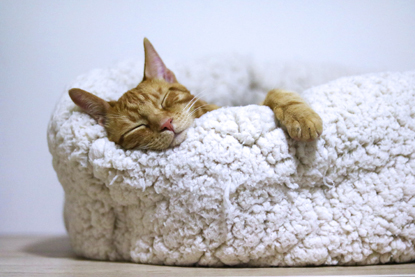 Where you put these items can also have a surprising impact on your cat’s stress levels too. Keep litter trays away from eating areas, for example, and make sure your cat’s resources aren’t in an area with lots of noise or people. Cats are solitary creatures, so they don’t like to be crowded by others – that counts for other cats, other pets and even children or other family members. Ensuring your cat always has space to escape from the chaos is a good way to reduce their stress. A quiet spot, preferably somewhere high up, is ideal. Try a cardboard box on a sturdy shelf, for example. While many cats like to be stroked for a long period of time, others are happier to enjoy their own company. Some cats might be quick to tell you that they’re unhappy while others are more subtle in their behaviour. Pay attention to their body language and always make sure they have the freedom to move away from you when they wish. If your cat is stressed due to a neighbourhood cat invading their space (or your garden), it can be tricky to eradicate the issue. If you know who the cat belongs to, and you’re on good terms with the owner, you could try a friendly chat. Make the suggestion to ‘share the space’ by ensuring the cats explore outdoors at different times. Otherwise, ensuring your cat has plenty of resources both indoors and outdoors (eg places to toilet, get up high, drink from) should keep them calm. Cats are creatures of habit. Routine is important to them, so anything that disrupts this can leave them feeling stressed. Whether you’re planning to move house, have building work completed or welcome a new baby into your home, preparing your cat for the changes reduces the risk of stress. During house moves and improvements, cats are often much better temporarily staying in a cattery to keep them calm. 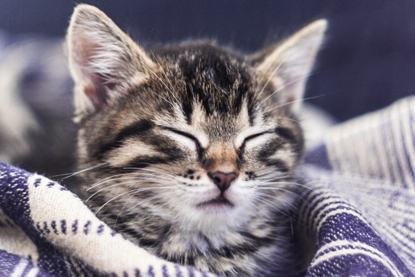 With new babies, you can get your cat prepared for their new arrival with our advice guide, which includes getting them familiar with baby sounds and how to make the nursery off-limits. Visit www.cats.org.uk/cats-and-your-pregnancy for a month-by-month guide. If you're concerned about your cat's behaviour, you should always go and see your vet. They can refer you to a suitably qualified behaviourist, such as a member of the Association of Pet Behaviour Counsellors (www.apbc.org.uk), or a Certified Clinical Animal Behaviourist (CCAB).